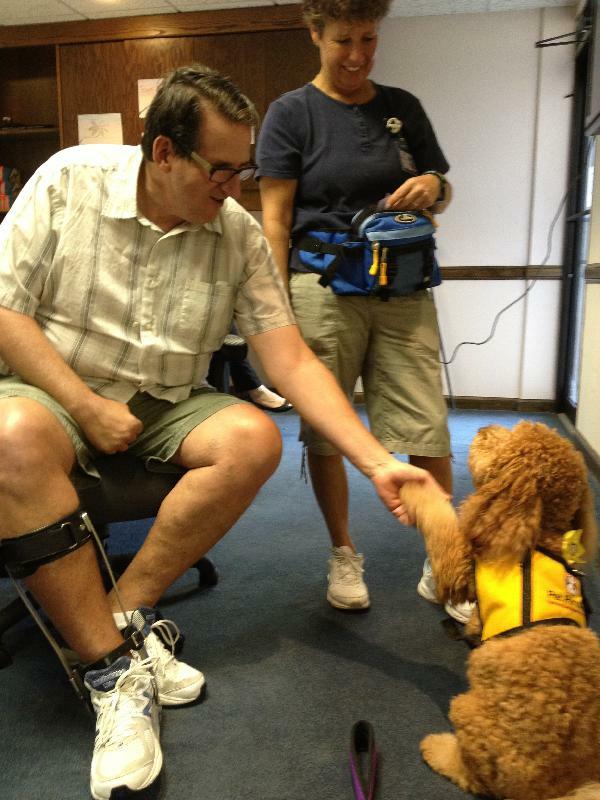 Guest speakers (and guest barkers) are frequent visitors to the “Talk! Laugh! Live!” program. Visitors share information about adaptive sports (recumbent bikes, etc) and tools, local events, and other community connections.